Well, my favorite high school, college, and professional football teams came up short over the weekend, but my sadness was short-lived because of the absolutely perfect weather days we have had! Just unbelievable for Central New York. Beautiful Day for an Invitational: I spent Saturday traveling the New York State Thruway to Buffalo to take my youngest on a college visit. Along the way, we saw dozens of buses from just as many districts. Their destination? 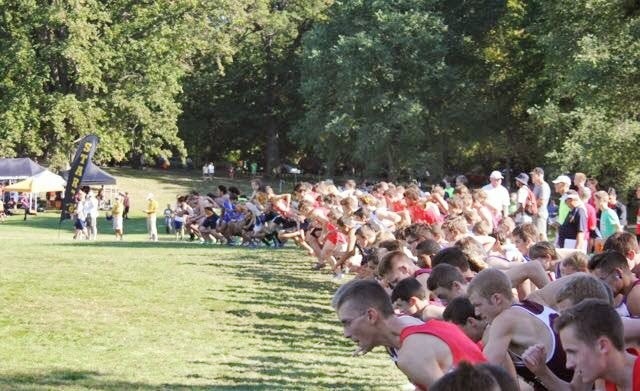 The McQuaid Cross-Country Invitational. We sent runners as well. My college housemate, Tim Lynch, snapped this great picture from the starting line. A beautiful day for a run. Tournament of Bands is Entertaining: Back home an extremely successful Tournament of Bands was taking place. Again, a picture perfect day provided a beautiful backdrop to a beyond standing room only crowd. They were not disappointed by the talent displayed by students from nine schools. Our own Marching Band put on quite a demonstration show as well. We are very fortunate to have such great facilities that can hold such a massive gathering! Commended Scholars are Announced: Last week I was filled with pride to learn that five of our students were recognized as National Merit Commended Scholars! Steven Mirabito, Christopher Brown (no relation), Claire Thomas, Aaron Jones, and John Buttner will be recognized by our Board President, the high school Principal, and yours truly at our Board meeting on November 5. Congratulations to these students and their parents! Open Houses are a Success: I would like to thank everyone who attended our open houses across the District. We had nearly 100% attendance from our parents, and the biggest complaint I heard was that we need more parking! I will take that any day. Spirit Week at the High School: This week is spirit week at the high school. So if you are driving along West Genesee Street and see a superhero or cowboy/girl, do not be alarmed (or beach attire on a cold day for that matter). We are celebrating student spirit, school pride, and homecoming. 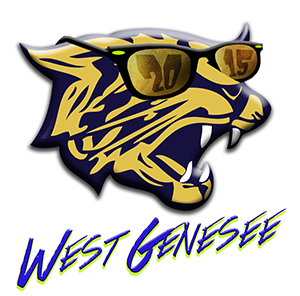 We are West Genesee! A Great Weekend in Central New York! What a great weekend in Central New York! I had a chance to attend an outdoor wedding on Friday night, followed by being able to wear shorts and a tee shirt to the Syracuse football game, followed by a warm and humid run at the Race for Respect on Sunday. Not too shabby for late September! 16th Annual Race for Respect: Speaking of the Race for Respect, I would like to take a moment to thank everyone who attended. Dedicating a part of your day to walk or run at a school function in the spitting rain, humidity, and warmth is very much appreciated. We are at a crossroads with this event. 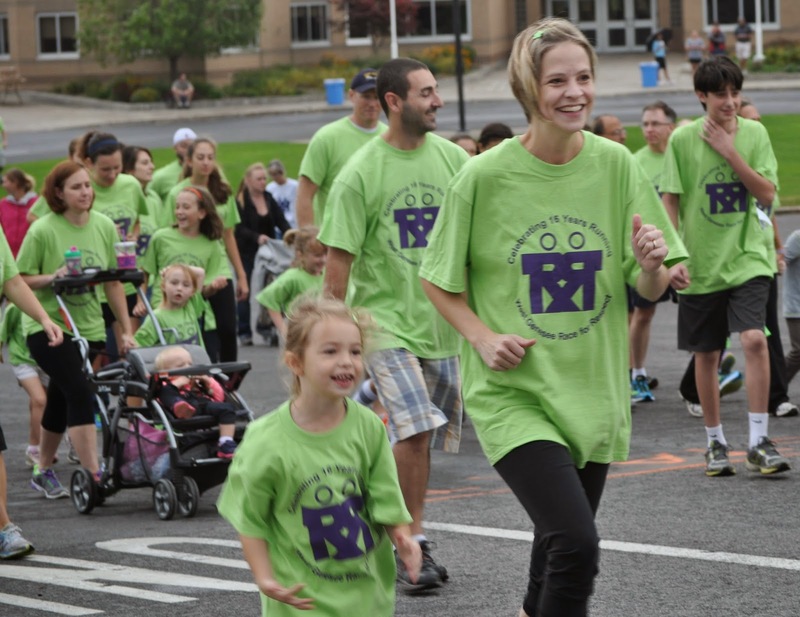 The race has been run for the past 16 years and was developed as a way to help celebrate what it means to work together in the school community. Click here to view a brief video of the event. About five years ago we started the District Culture Fair that takes place in the winter. This event was designed to promote and celebrate our diversity. The event is not weather dependent, and in recent years we have had up to approximately 2,000 people attend the Culture Fair. While the Race for Respect draws a few hundred. Neither are designed to make money; they are designed to promote togetherness. We are going to evaluate both events and make some decisions moving forward. Thanks again to all who attended and volunteered! Open Houses are a Success: I would also like to thank our parents for their attendance at our Open Houses. We often have close to 100% attendance at Open Houses, and that is a sure sign that we are all connected and working together. Open House at the High School last week left me with mixed emotions. It was the last Open House as a parent and a superintendent, as my youngest is a senior. It made me think about why we as parents should attend Open House. probably the most significant thing you can pick up at Open House is a teacher's desire. I have never selected teachers for my children, and while I know who they are because they are my employees, they cannot fake desire. No one can. I am really happy with our teachers. 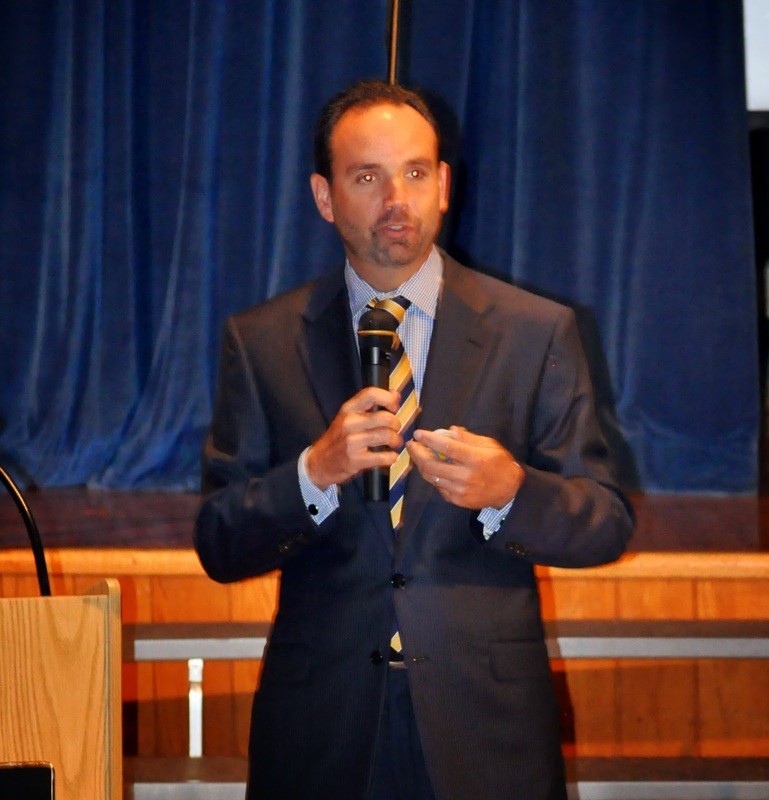 I see enthusiasm, creativity, and a general sense of caring for our children and for what it means at West Genesee. If you are one of the few thinking twice about attending Open Houses, please attend. I guarantee it will be worth the traffic, late dinner, and your time! Also, you will establish communication with your child’s teachers and principal, and you never know when you will need each other. Good morning and welcome to the world where another virus with a scientific name is sweeping across the country and New York State. Yesterday I sent a letter home indicating that a child in our school community had been diagnosed with said virus. I came to learn shortly after the letter went home that a second confirmed case had been detected. A virus can be picked up in a variety of ways. The most common include coughing, sneezing, or touching a contaminated surface. 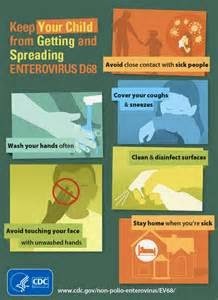 People cough, sneeze, and touch contaminated surfaces at the grocery store, church, home, school, the mall, sporting events, etc. When we first sent our letter home, we were questioned by some as to why we would not identify the buildings the children attended or what grade level they were in. You know me as the person who communicates everything that I can. When I wrote the letter, I made sure to have a conversation with our legal counsel who is much more versed in student privacy than I am. They indicated that it would be best to stay away from any identifying information that might help to personally identify a child because they have a right to privacy. I agree with this approach considering a virus can be picked up virtually anywhere. We teach our students and staff about hand washing, proper ways to blow noses, sharing food and drink with others, and so on. We are also fortunate that our Director of Buildings and Grounds came from a hospital environment. He and his staff thoroughly clean and sanitize surfaces whether there is a virus going around or not. This virus will pass through our school community just as others have, and we will remain vigilant with our cleaning and teaching of healthy habits along the way. I have heard from many parents that "they" have determined that their child has or doesn't have the virus. I would advise against playing doctor. If your child has symptoms that are similar but more pronounced than the common cold, please get them to a doctor so they can be tested. A positive test does not mean exile. It means that your doctor can prescribe a treatment plan that will get your youngster back to health, school, and regular activities as soon as possible. Our Graduates do Well: I recently ran into, or heard from, several of our graduates, and they are keeping themselves pretty busy! One, Ben Mauro, is an international rock star and has most recently finished touring as a guitar player for legend, Lionel Richie. He took an opportunity to give back to our school community by creating an endowment fund for our Fine Arts program. We are very appreciative and look forward to his future visits! Another very recent graduate learned that she will be hitting the stage at Carnegie Hall this winter. Three others were just adopted into the Upstate Chapter of the US Lacrosse Hall of Fame and two of the three were Academic All-Americans as well as Lacrosse All-Americans. The list could goes on and on. The people I referenced are just the people I saw, heard from or read about this past week. Our graduates do well. This is not by accident. 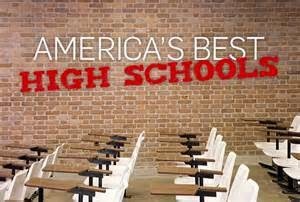 High School is Nationally Ranked: Last week West Genesee High School was ranked in the top 3% of all high schools in the United States by a National publication. A blogger commented that I should "step my game up" because we were only in the top 3% (there are over 19,500 public high schools in the United States), and should have THE top High School in the United States. I am used to, and most certainly accept, the constant pressure and demands from our community to perform. That is why I am the superintendent, and I get paid to provide the highest quality educational program that we can provide and that our taxpayers can support. The road to the top is bumpy and I am not sure that the view at the top is any better. The top schools spend the most per pupil to keep class sizes the smallest. They do not provide as many diverse college course options as we do (AP courses count in the weighting of schools more that college credits from two and four year colleges and universities), and all of the very top high schools are in much wealthier communities (as an example even the wealthiest Central New York Schools to make the list were still in the top 3% with us). we perform well, even though we are an average wealth community that is continuing to trend downward in the wealth department. So as I write this, my reaction to the blogger is that our "game" is stepped up, we have accepted all challenges, and we are working within the framework that our community can accept. We will continue to do so, and I encourage all graduates to reach out to me and let me know what great things you are doing! This is a blog and not a book, so I am going to write again later this week with some other concepts that we are working on this year. Thanks and enjoy the week! Off the Ground and Wheels Up! First Week of School: Last week was our first week of school with students. I thought that it went very well considering the heat wave we had and the usual glitches that we face when starting up the organization again after a couple of months off. 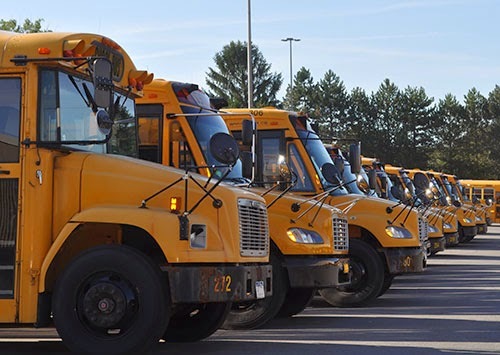 My hats go off to our transportation department, food service workers, technology department, and buildings and grounds crews for helping us to get back to near full strength in just a few short days. By the end of next week, I expect everything to be up and running as it will for the rest of the school year. Last Friday night was an example of how a great community looks and acts. At our opening football game we hosted approximately 2,000 community members at our turf stadium. The football players did a great job on the field, our cheerleaders kept everyone pumped up, our Wildcat Nation provided the positive chants, and the Marching Band wowed us as usual with their half-time show. Throw in the Pop Warner football youngsters, and I would call that a pretty great night! Meeting the New Kindergartners: Last week I also had a chance to meet all of our new kindergarten students. What a blast! All were very polite, some wondered if I was a medical doctor, and they all were wide-eyed and anxious to learn. Visiting all of them for the first time is one of the highlights of my job. When I visit them again this week, they will be in mid-year form; they adjust better than we do! Summer School Wrap-Up: We also had a great ending to our summer school session. People think that summer school is just for students who did not do well during the school year. False. We have students who take classes to catch up in order to graduate, and we also had students who use summer school to get ahead so they could take even more classes this school year. All in all we learned that our final completion rate is just under 92%. The completion rate should not be confused with the Regents graduation rate (which is 99% for our District). The completion rate includes EVERY child who walks through the doors of West Genesee. The latest New York State completion rate is 74%. Why are we not at 100%? Good question, as that is obviously the goal. That 8%, or roughly 31 students are students who have dropped out, attended even one day at West Genesee and then transferred to another school and not completed, fallen behind their class due to family issues, health issues, or have obtained an Individualized Education Plan, or IEP, completion certificate (I lobby New York State every year for IEP diplomas to count by the way). We are working with our students who have dropped out to see if there is anything we can do or offer to entice them to return to school to complete their high school experience. We are making strides. Our completion rate when I arrived in 2008 was 86%. A Great Labor Day Weekend: I hope that each of you enjoyed your Labor Day weekend. I had a great time (minus the traffic jam) being a part of the largest single day crowd of the New York State Fair in history! We almost had a brush with greatness right in Camillus as well. The popular country band, Florida Georgia Line, and CBS Sports were working with us to use our turf field to create a promotional commercial for the network before their state fair concert on Saturday. The band wasn't quite ready with the lyrics for the promotional song, so they had to cancel. Judging from the sound of the crowd at their concert, all of their other songs came across just fine! Baldwinsville Superintendent will be Missed: On Friday night while sitting at the edge of my seat at the Syracuse football game, I received a text message that recently retired Baldwinsville superintendent, Jeanne Dangle, had passed away after a long battle with cancer. She was a colleague and friend. She worked tirelessly to provide students in her community with opportunities. Equally unfortunate was the timing. She had just retired, and she had plans to do some things in retirement. The lesson is to live every day to the fullest, no regrets, and to make a lasting impression as she did. She will be missed. New School Year with a Changing Community: We are ready for business and could not be more excited to begin school tomorrow. Please remember that Tuesday is a half-day for students. Then we ramp right up to full-days for students for the rest of the week. On opening day I spoke about our changing community, and how we as a District need to adjust to our changing population. We have gotten more diverse (for over eighty of our children, English is their second language, if they speak English at all), more families are struggling financially, and there are more cases of drug use in our community. At the same time, there are families who have lived here for generations and they expect the same out of West Genesee academically as they did twenty years ago. We have to do a better job of accommodating ALL needs and are working to do so this year. We are excited to continue to remain at the top no matter what challenges and opportunities present themselves. Our event schedule is heating up, and I hope to see you around.